As much as I like to travel and discover places and cities beyond the most famous recommendations for tourists, I do like to see some of the very well known places, museums, etc. So yes, while in Paris, I really wanted to visit the Louvre Museum – and I managed to do so in a Thursday, with my husband. 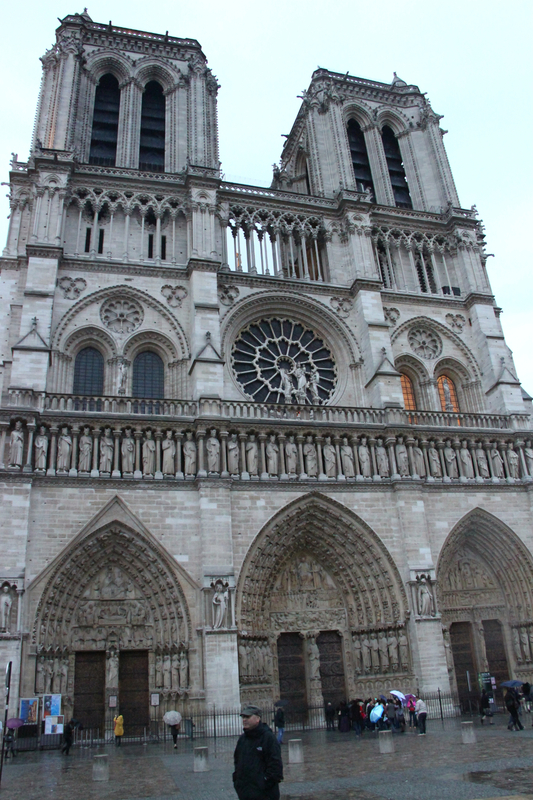 One of the reasons I wanted to get there was to see the famous Mona Lisa painting by Leonardo da Vinci. 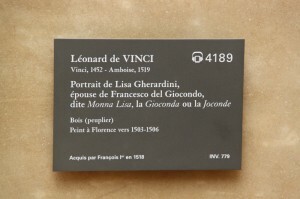 As I’m sure you already know, Mona Lisa is in fact a portrait of Lisa Gherardini, wife of Francesco del Giocondo – that is why Mona Lisa is also known as Gioconda. It is not a huge portrait – you’ll find many more really impressive paintings in terms of size at the Louvre – and in many other museums around the globe. But the numerous studies that failed to agree on a single conclusion, the books, movies and all the uncertainty surrounding this painting that makes it special. One thing it is clear: I really wished to see the portrait up close. So as we were in the Italian paintings section at the Louvre Museum and signs were telling us we were getting closer and closer, the excitement grew. And finally here it was: a room with several paintings and, in the middle, Mona Lisa. And so it started my love-hate relationship with the Mona Lisa. Let me tell you why. Although it was Thursday, you can imagine the museum wasn’t empty. So yes, there were visitors. OK, I have to confess that it wasn’t really crowdy – but around Mona Lisa there was a crowd. A significant number of people were standing in front of the painting, and if you expected them to leave, you noticed that others were taking their places. The crowd – while other masterpieces in the museum can be admired at some point without a crowd nearby, I don’t think it is a moment when Mona Lisa doesn’t “have visitors”. Actually, the perfect photo of the Mona Lisa we took was… on the postcards for our friends, fridge magnet and book sign for me… and yes, this was disappointing for me. The distance – again, I understand the security reasons, but that doesn’t mean I like the experience. There was a guard there too – no problem with that – but the half or one meter distance (I don’t know exactly which was it) wasn’t a pleasant surprise (especially since most of the others masterpieces were more accessible. I had a moment in front of the Mona Lisa. Sort of in front, as it was more in the left of the Mona Lisa… We started in the back, as everyone else, then slowly ended up face to face with the painting. Well, sort of. The glass, the distance and all the people next to us trying to take a photo – of the painting or with the painting – everyone’s exclamations and reactions made me feel like actually I DIDN’T had MY moment with the Mona Lisa. I repeat: I understand all the security measures, heck, I’d probably take them too – and then some – if I was to guard that painting – and I am happy that I saw the painting, even if in a rather mediate way. I know not everyone is like me – without a single thought to steal it or to do something to damage it. And yes, if in Paris and at the Louvre again, I would go to see it once more (in fact, on our way back – as there was a closed passage and we had to go back the corridor to go in other parts of the museum – I stopped for a moment at the entrance in the room, actually looking at the painting – from distance – again. This post is not about the portrait value as a piece of art. I know some think there is nothing special about this portrait and that it is only marketing and a big undeserved fuss. I like it, I admit. I wanted to see it and I loved what I saw, just that I hated the distance (even if I understand the reasons behind it). We went on a family trip to Paris last spring when my younger daughter was 8 and all she talked about beforehand was how she was going to see the Mona Lisa. I was so worried that she was going to be disappointed but she was thrilled to actually see it – despite the crowds and the glass covering and everything! Somehow the two of us managed to wriggle through the crowd and get to the front to take her picture with the Mona Lisa while my husband and older daughter were content to stand back and see the painting from a distance. I think it’s nice to see such a famous work of art to judge for yourself whether it’s worth the fuss. I think it is also a matter of expectations. I was not dissapointed by the painting, but rather by the fact that I was not able to enjoy it as much as I did other art exhibits in the museum. I’m happy to hear your young daughter loved it! 🙂 I hope I’ll show it at some point to my son too (he’s not even 2 years old now, so there is still time). I don’t think you should criticise that. First of all, you “taking pictures” of the painting is just the need to validate your “cultural ego”. You feel the need to have some proof that you “were there”. The famous “yo la” pictures. I think we should stop proving we are “art lovers” and just enjoy art as it is. Second: you were bothered by “the crowd”. But may I ask: were you not part of the same crowd? You are entitled to your own opinion – though I would loved it to be an assumed one, with a real name (if you’ll post other comments with the same id, they’ll be marked as spam). I don’t take pictures to show he world I was there, I take photos so that beside my memories, I’ll have the opportunity to enjoy the places I visited once I’m not there. I often look at various photos from various moments in my life – and no, I don’t post all of my photos or photos from all of the places I’ve been to on my blogs. Not everyone takes photos to share them on Facebook and other places. I take them for my soul! In fact, I very rarely take photos with me and a place/monument and even rarely make those photos public, posting them somewhere. I take them to enjoy them later, to remember the special places I saw. I was part of the crowd because, as I mentioned, there is never a moment when no one else is there, admiring it. I had my special moments with all of the other exhibits at the museum. I don’t mind waiting, here however people were coming constantly. I already explained why I understand all the security measures, and also why I loved beeing able to see this masterpiece from close. Lore, I do understand your point of view. While it’s still worthwhile to see it, while you understand the need for such rules, well, not hating the downside is something emotional, not rational. Cuculeanu, I have no idea why you take photos when you travel, but I (and I think Lore as well), take them to be able to look at them later on and remember a beautiful experience, to show them to family members, friends and readers of my blog who either need information on a destination, or don’t have the time or means to go and would live to at least experience it vicariously through my words and my photos. I for one did not visit a lot of art/archaeology museums because I am an art lover or history buff to the core. I did it to see pieces I loved or learn more about characters I found inspiring. Yeah, we should do that. It will be fun and most surely relaxing! And we kind of need it! you need to consult together with your finance advisor. I simply want to say I am all new to blogging and definitely enjoyed you’re blog. Most likely I’m want to bookmark your website . You absolutely have fabulous article content. Bless you for sharing your website. Perfectly normal to be disappointed. Most people are. It’s much smaller than you expect. We’re so used to see the Mona Lisa on huge posters. The panel is also much darker and in a pretty bad state. It’s a great portray, but it’s the legend that makes it larger than life. Especially the robbery added to its fame and reputation. 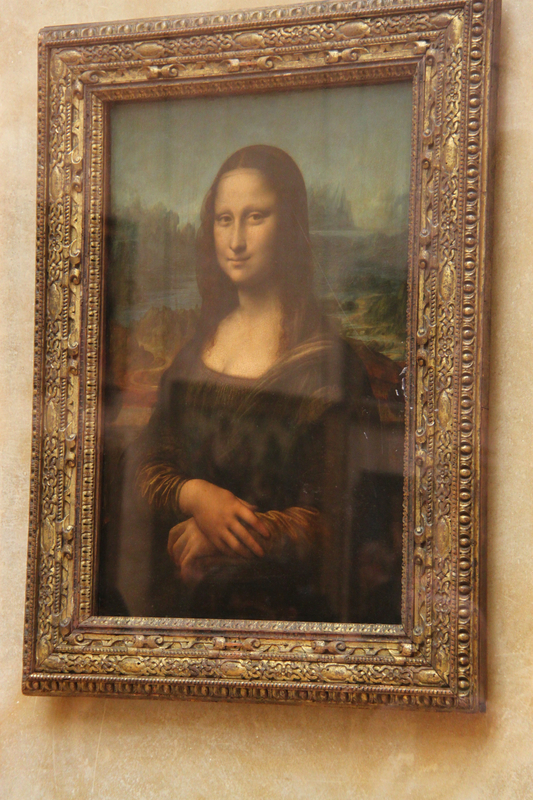 Many people just come to the Louvre to see the Mona Lisa, while they are much better paintings in the museum. Even the other Da Vinci’s in the room are superior. My parents lived in Europe before I was born, and they got to travel all over. My mom had the same thoughts as you – that the Mona Lisa is very small in person and that it’s so crowded that it’s hard to have a good experience viewing it. I’d still love to go, but I think now my expectations are set at a good level to where I won’t be super disappointed when I go. I also visited Boston on a school trip, and we went to see Plymouth Rock, which we all thought would be this grand thing. It ended up being a square boulder that we had to look down on from the top of a platform and through a hole. And it was about the size of a suitcase, as one of my teachers described it. It was hilarious that we learned about it for so long in school, and then it was the weirdest experience when we saw it “up close”. You made some decent factors there. I regarded on the internet for the difficulty and located most people will associate with along with your website. I’d must verify with you here. Which isn’t one thing I often do! I take pleasure in studying a put up that may make individuals think. Additionally, thanks for permitting me to remark! Nice post. I study something more challenging on completely different blogs everyday. It’ll all the time be stimulating to read content material from different writers and follow a bit one thing from their store. I’d prefer to use some with the content on my blog whether or not you don’t mind. Natually I’ll provide you with a hyperlink in your net blog. Thanks for sharing. Once I initially commented I clicked the -Notify me when new comments are added- checkbox and now each time a comment is added I get four emails with the identical comment. Is there any approach you’ll be able to take away me from that service? Thanks! A powerful share, I simply given this onto a colleague who was doing somewhat analysis on this. And he in reality bought me breakfast as a result of I discovered it for him.. smile. So let me reword that: Thnx for the treat! However yeah Thnkx for spending the time to debate this, I really feel strongly about it and love studying more on this topic. 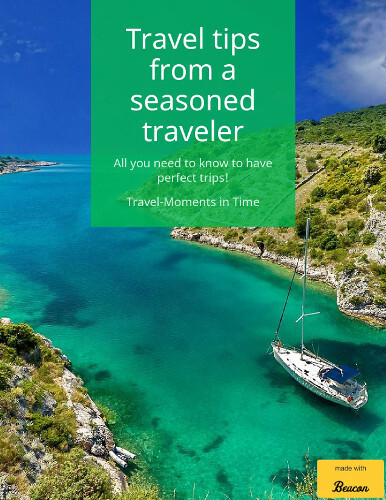 If possible, as you develop into experience, would you mind updating your weblog with extra details? It’s extremely helpful for me. Big thumb up for this blog post! This web page is really a walk-through for the entire info you wanted about this and didn’t know who to ask. Glimpse here, and you’ll definitely discover it. This website is mostly a walk-by means of for the entire data you wished about this and didn’t know who to ask. Glimpse right here, and you’ll positively uncover it. you have got an incredible blog right here! would you like to make some invite posts on my weblog? Whats up! I just would like to give a huge thumbs up for the nice information you’ve here on this post. I will probably be coming again to your blog for more soon. This site is known as a walk-by for all of the info you wanted about this and didn’t know who to ask. Glimpse right here, and you’ll definitely uncover it. Youre so cool! I dont suppose Ive read anything like this before. So nice to search out any individual with some original ideas on this subject. realy thank you for beginning this up. this website is one thing that’s needed on the web, someone with a bit of originality. useful job for bringing something new to the web! I’d need to test with you here. Which is not one thing I often do! I enjoy reading a post that can make individuals think. Additionally, thanks for permitting me to remark! Nice post. I learn something more difficult on totally different blogs everyday. It should always be stimulating to learn content from other writers and practice a bit something from their store. I’d desire to make use of some with the content on my weblog whether you don’t mind. Natually I’ll give you a hyperlink on your net blog. Thanks for sharing. Spot on with this write-up, I really think this website wants rather more consideration. I’ll in all probability be once more to read far more, thanks for that info.